Peter Crouch is in line for a Premier League return as a makeweight in the £9million deal which will take Burnley's Sam Vokes to Stoke. Burnley will not allow Vokes to leave without a replacement for cover up front, with the Potters ready to offer Crouch as part of the deal. Crouch, who turns 38 on Wednesday, has already rejected proposals from other Championship clubs. The Sportsmail columnist is now set for a move back to the top flight as Clarets boss Sean Dyche looks to lead his side further away from the relegation zone. Crouch will bring plenty of experience to Burnley's squad, having starred for the likes of Tottenham, Liverpool, Portsmouth and Southampton during his 20-year career. The 6ft 7in striker also has 22 goals for England in just 42 caps, having played for his country between 2005 and 2010. 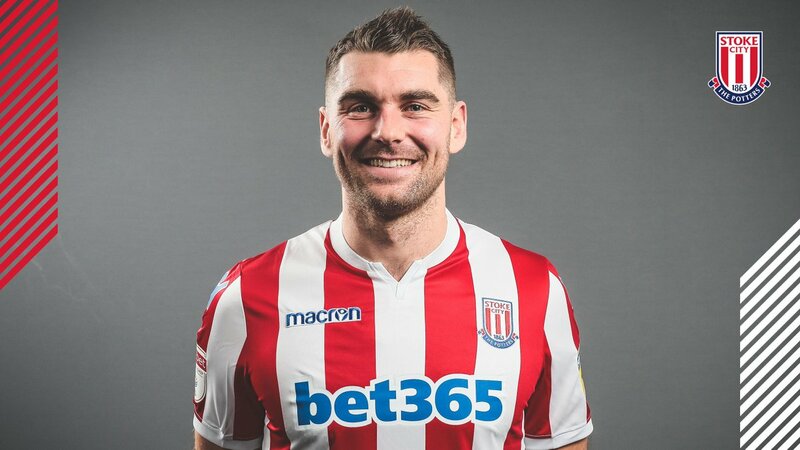 Sam Vokes is on his way for a medical at Stoke City before completing a £10m permanent move to the Potteries with Peter Crouch going the other way. Crouch is expected to arrive at Burnley later this morning for his medical. The deal thought to be around £10m in total. Vokes cost Burnley around £300,000 in 2012. 今季攻力已經咁弱, 中場比較有創造力D的Gudmundsson又踼下傷下. 靠Henderick, McNeil個D做主力的話, 真係死得. 人地Cardiff都針對自己前鋒弱而增兵, Burnley我覺得絶對到借/買番件攻中或者翼. 唔係的話我對Cardiff護級有期望D. Speaking at a news conference, Clarets boss Sean Dyche said Crouch still "has a hunger to come and make a mark". He added: "We know he's a good character and he still has a desire. The main thing for me is having motivated people." Meanwhile, Potters full-back Erik Pieters has joined French side Amiens on loan until the end of the season. The 30-year-old, who joined Stoke in 2013, has made 23 appearances for the Championship side this campaign. The move marks a return to the Premier League for Crouch, who has made 462 top-flight appearances for six different clubs, scoring 108 goals. The former England forward was part of the Stoke squad relegated from the Premier League last season. Crouch has also played in the top flight for Tottenham, Aston Villa, Southampton, Liverpool and Portsmouth. Vokes, who played for Wales at Euro 2016, has been at Burnley since July 2012 and has this season started 10 league games for the Clarets, who are 17th in the Premier League. Stoke manager Nathan Jones said: "Sam is a player of real pedigree, he has been promoted from this level and he's an experienced international and Premier League player. "To get it done is something totally different to anything we have and we think he's a marquee player for this level." Burnley announced Crouch's arrival at Turf Moor with a video featuring a robot - paying homage to Crouch's famous celebration.